From concept to final cut, and all points of entry and exit in between, I work as a creative producer. I have initiated and/or supported the production of independent features, short films, television episodes, documentaries, and educational films. I focus on films of the North often featuring indigenous writers, directors, and talent. Dolly shot setup for FEELS GOOD, directed by Andrew Okpea MacLean. In 2010 I became the founding director of the first Film BA Degree program in the State of Alaska at the University of Alaska Fairbanks. In 2012 I founded the Film Reel Alaska Mentoring Experience [FRAME], which paired University curriculum with professional production companies including Lock and Monkey, Original Productions, Treehead Films, Relativity Media, National Geographic, Discovery Channel, Animal Planet, August Heart Productions, and dozens of others. 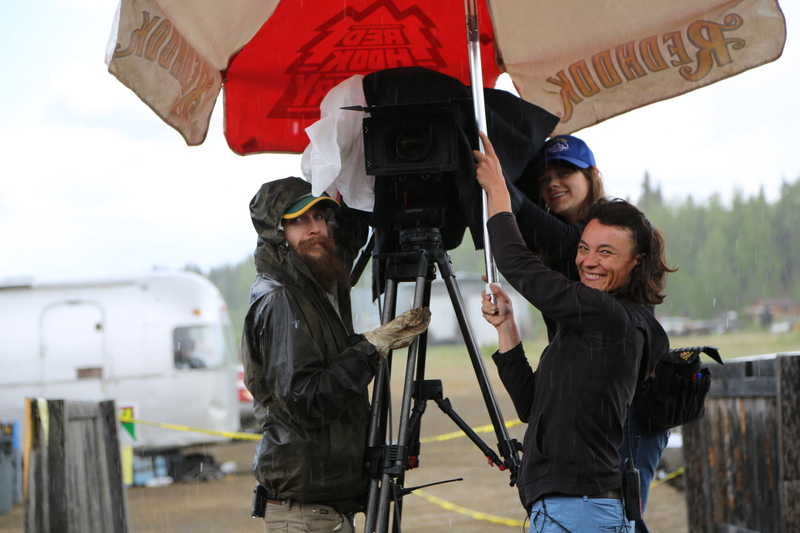 In 2015 FRAME expanded to become FRAME FPS – Film Production Services for the University of Alaska. FRAME FPS provides video content and creation for Alaska while maintaining a vigorous learning environment for our students while on set. In a time of budgetary instability at the University, it has made our degree program financially independent and many students valued employees.